Black quinoa is a valuable cereal containing all eight essential amino acids. Black quinoa is known as the "gold of the Incas," which gives them energy and strength. Her natural climate in the Andes. It grows at an altitude of 4000 meters. 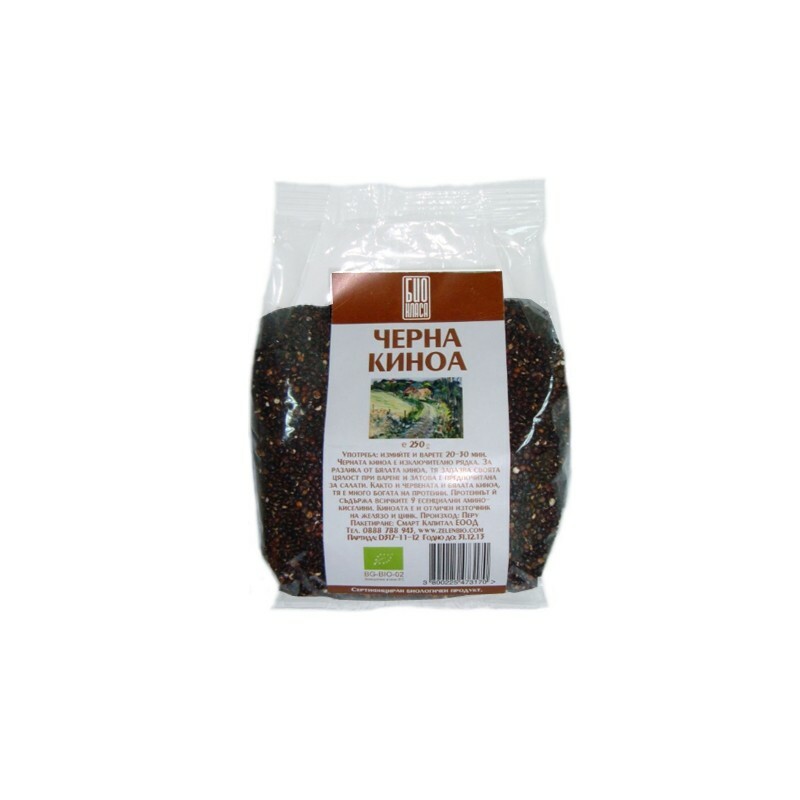 Black quinoa is a valuable cereal containing all eight essential amino acids. It is rich in proteins, carbohydrates, fiber, vitamins, minerals, calcium, iron, potassium, magnesium and the like. Strengthens the immune system. With exceptional taste. As one of the few grains that do not contain gluten, quinoa is a great choice for diversifying the gluten-free diet in celiac disease. This is a disease caused by intolerance to gluten protein. Most grains contain gluten, which requires a lifetime to avoid the menu.